Curved piecing is considered more difficult to accomplish than geometric designs. But with so many beautiful patterns to choose from it is worth attempting to learn to sew curves. There are many fine quilting books available that provide step by step instructions for piecing the curve. I have made a few curved pieced quilts including two Robbing Peter to Pay Paul quilts, a Double Wedding Ring and a Mill Wheel quilt. 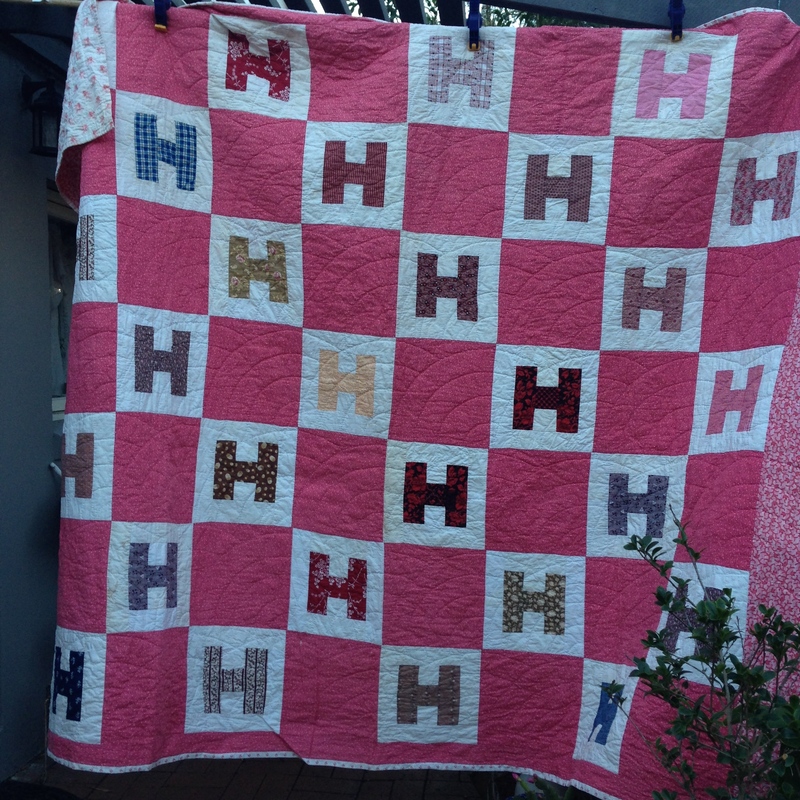 I have recently hand pieced a quilt in memory of my mother which I have named “Marjie’s Star”. It is a six pointed star set with melon shaped pieces. It was a challenging design but enjoyable to hand piece. Amongst my collection of old quilts, I have a Friendship Circle quilt. This quilt is pieced from woollens, old suiting fabrics, velvets and silk. The block measures 17 inches. There are 16 full blocks and 4 half blocks to finish one side of the quilt. 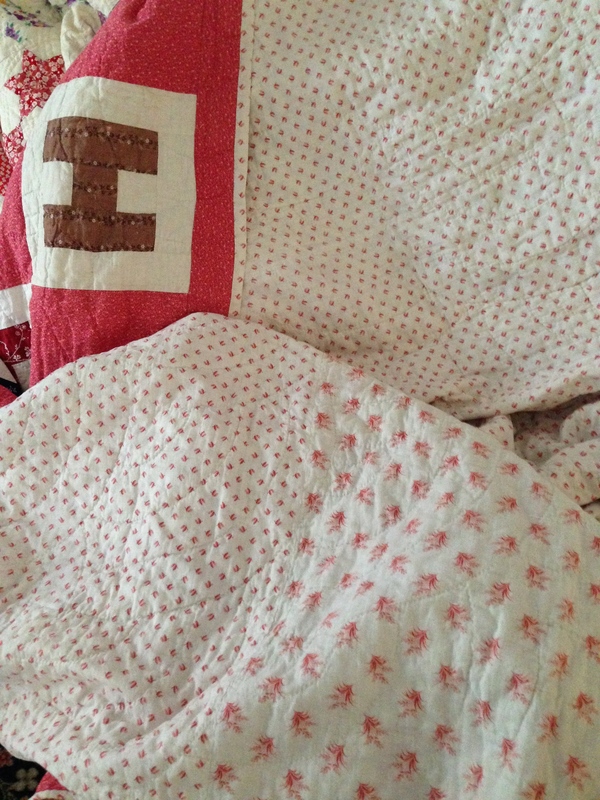 The seams are stitched with feather stitching and the quilt is tied. The backing is a paisley flannel. Curved designs were popular during the 1930s and 1940s. 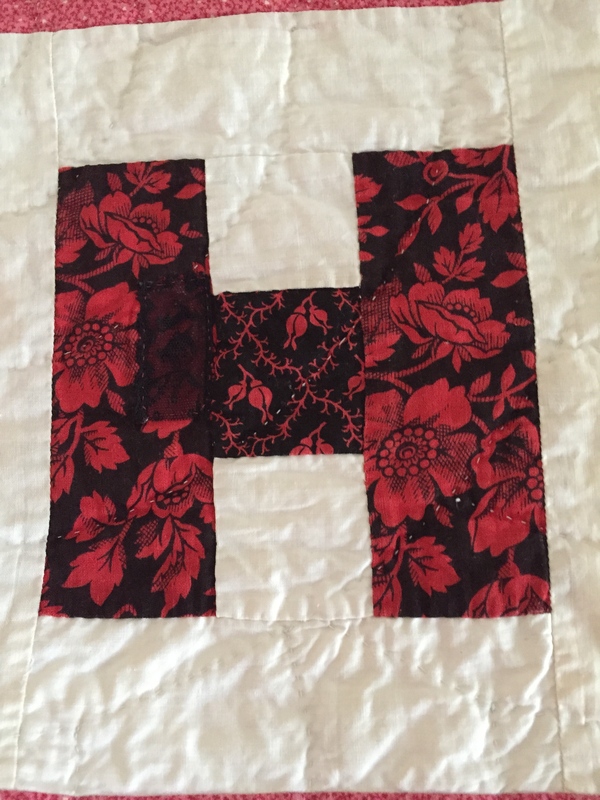 These included the Double Wedding Ring, Drunkard’s Path, Fan and Dresden Plate quilts. Two unfinished projects that I have recently acquired both contain curves. The first project consists of 14 Dresden Fan blocks pieced and appliquéd onto a white background and set with hot pink. Also included with my purchase is extra hot pink fabric and the start of a scalloped border for the quilt. There is certainly enough to complete this 1930s beauty. 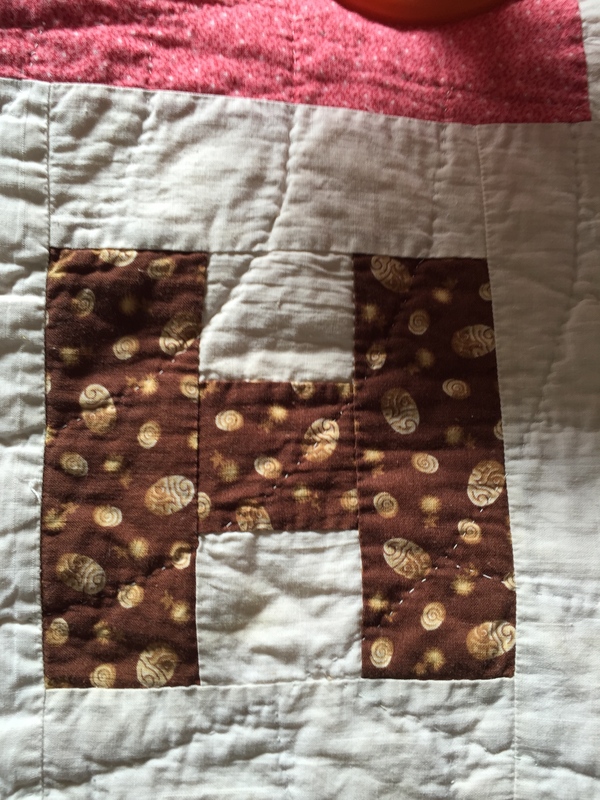 The Maker of the second project hadn’t progressed very far along with her piecing. 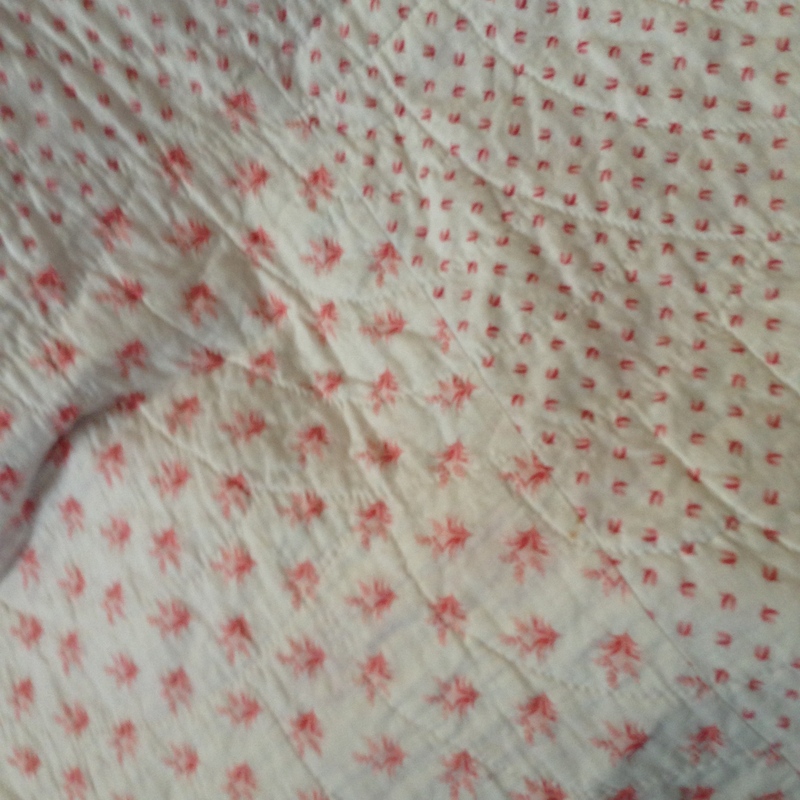 There was a paper pattern with the partial blocks which I have identified as Mohawk Trail. There are pieced blocks, partially pieced and many wedge sections cut. I have re-drafted the pattern and will stitch a couple of blocks to see if it is going to work out. These sweet old pieces have sat undisturbed for many years and may have to wait sometime yet. As this year is fast coming to an end, I will add these projects on my list of quilts to finish in 2017. Meanwhile I am busily hand quilting, and hope to finish a vintage Trip Around the World quilt before we bid farewell to 2016. 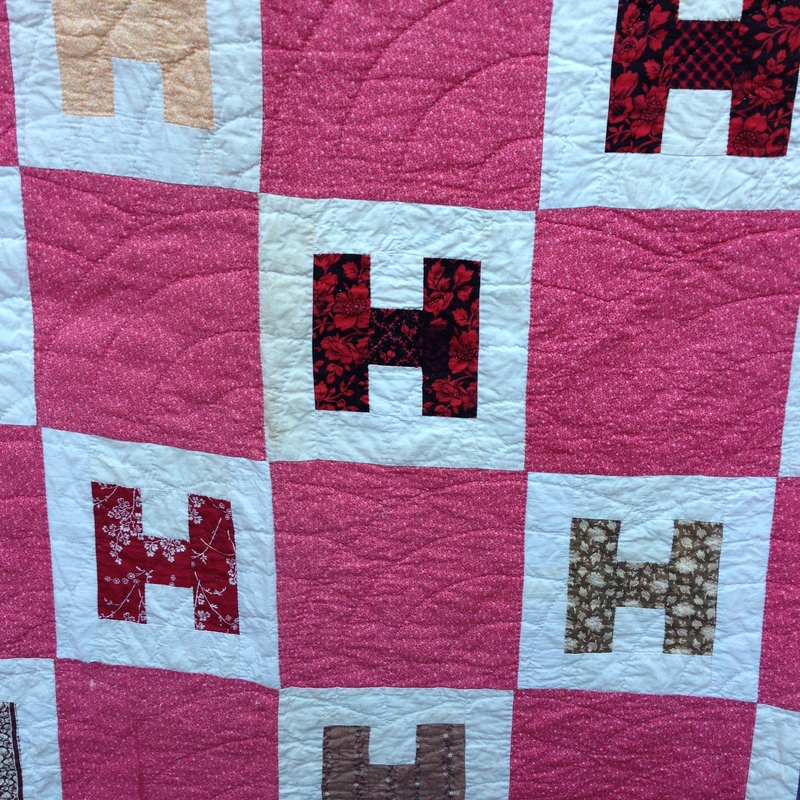 Happy Quilting, Janette – The Plain Needlewoman.